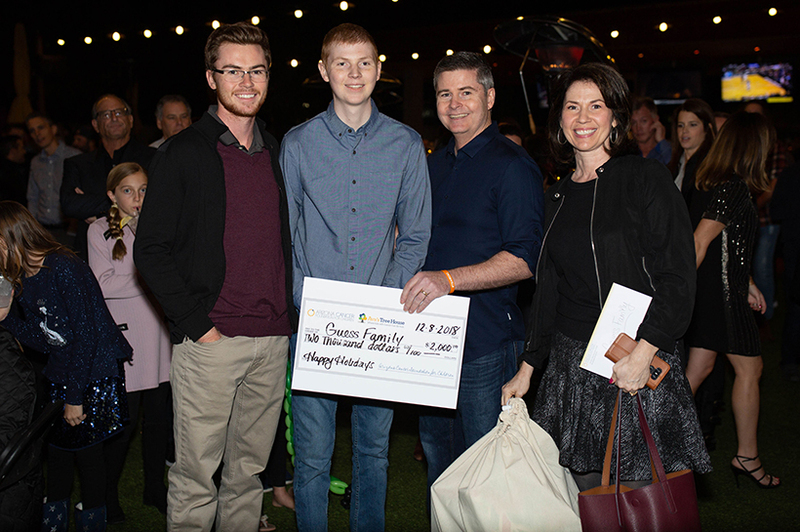 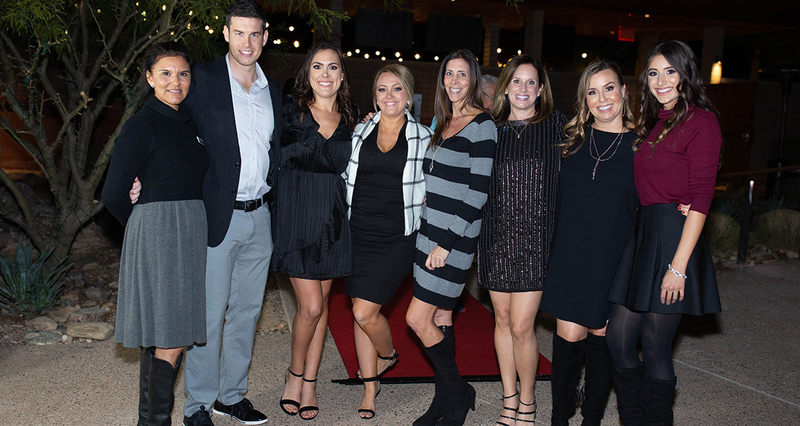 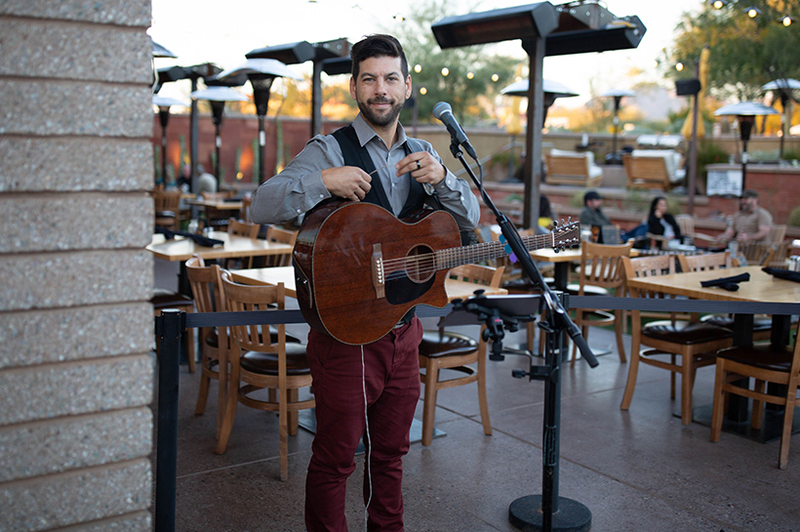 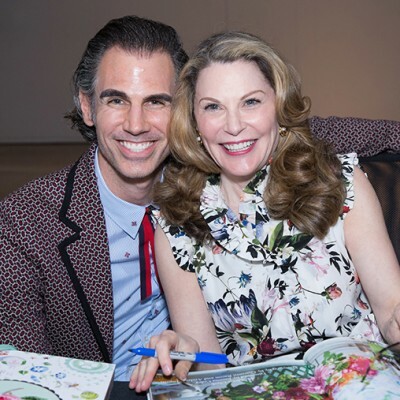 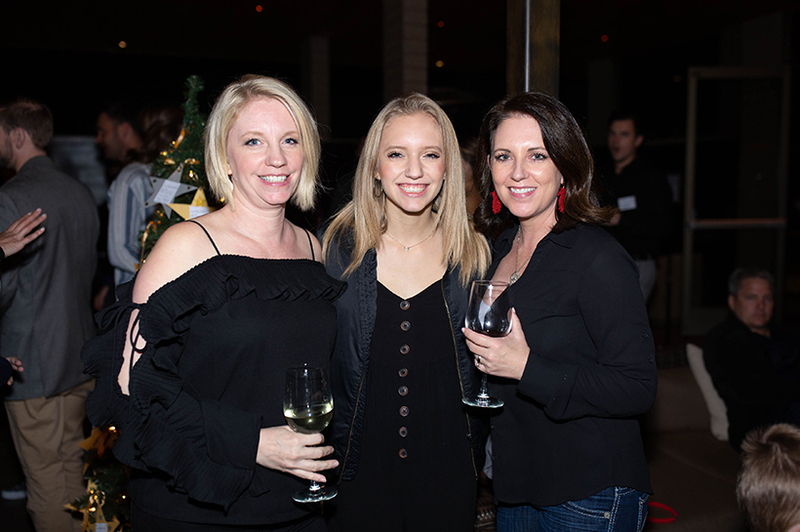 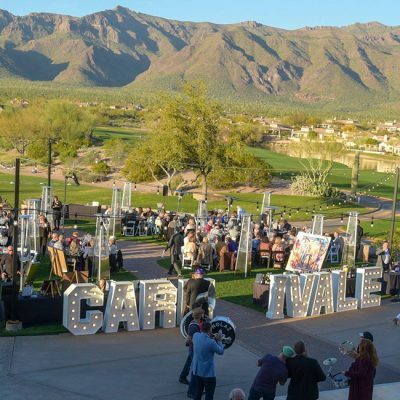 Arizona Cancer Foundation for Children’s fundraiser at the Vig McDowell Mountain raised $40,000 to support their programs, which assist children with pediatric cancer in specialized ways. 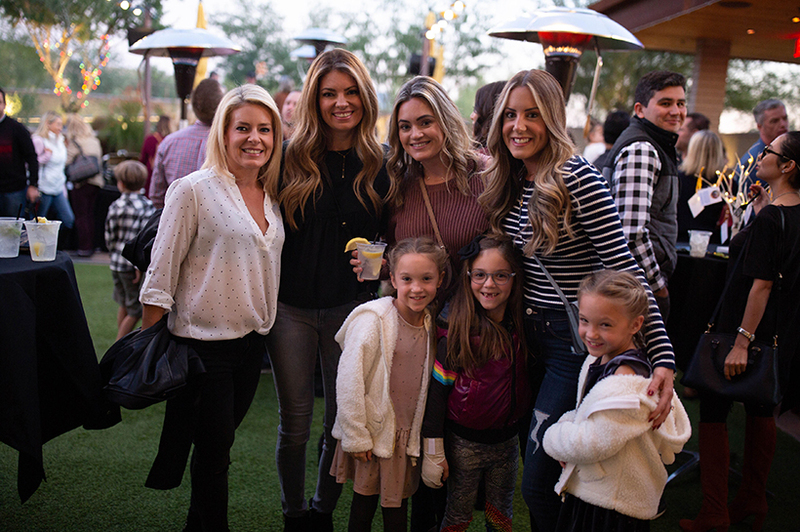 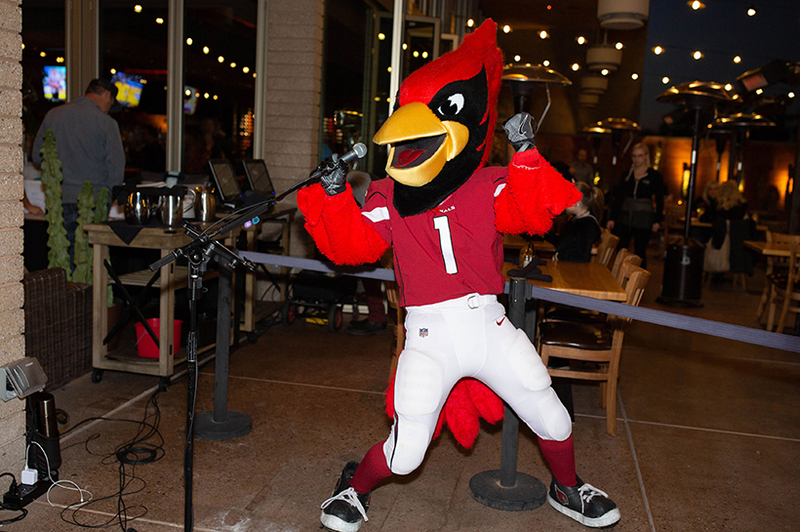 The 300 guests at the Dec. 8 Shine Bright for Kids with Cancer al fresco evening enjoyed cocktails and appetizers, a silent auction, live music by Lee Perreira, a desert bar, and appearances by sports mascots Sparky, Big Red and Baxter the Bobcat. 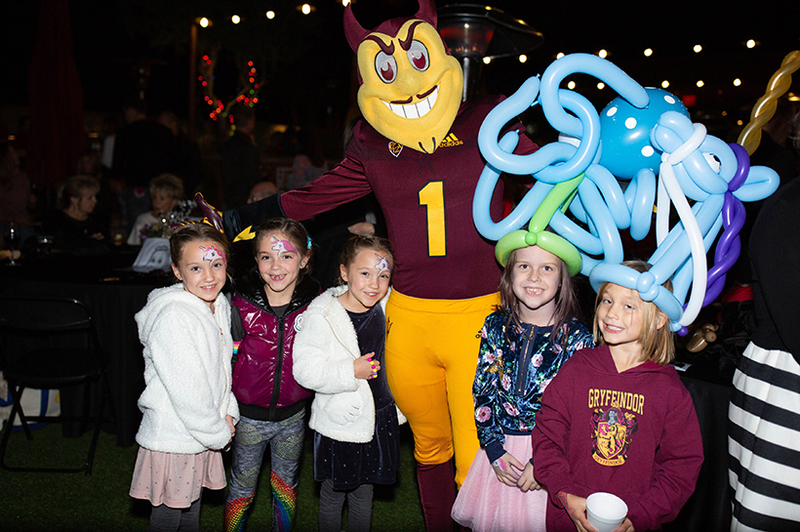 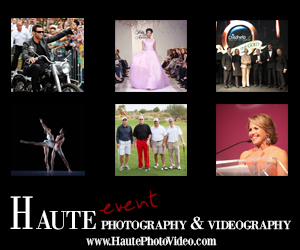 Zachary’s Fun Zone featured hair braiding by Blo Blow Dry Bar, caricature and balloon artists, a hot cocoa stand and a face painter. 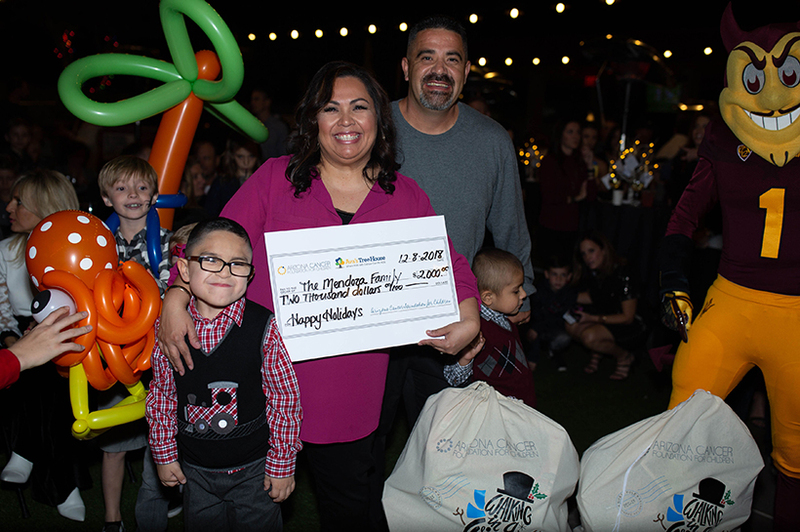 Three families battling pediatric cancer received surprise checks. 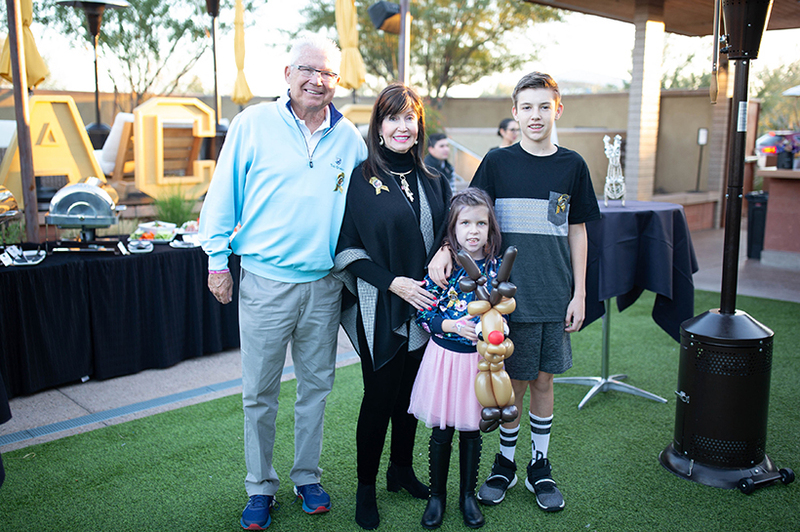 Arizona Cancer Foundation for Children’s financial assistance program ensures life can go on after a child’s diagnosis by providing funds for a home, transportation food and coverage of essential needs. 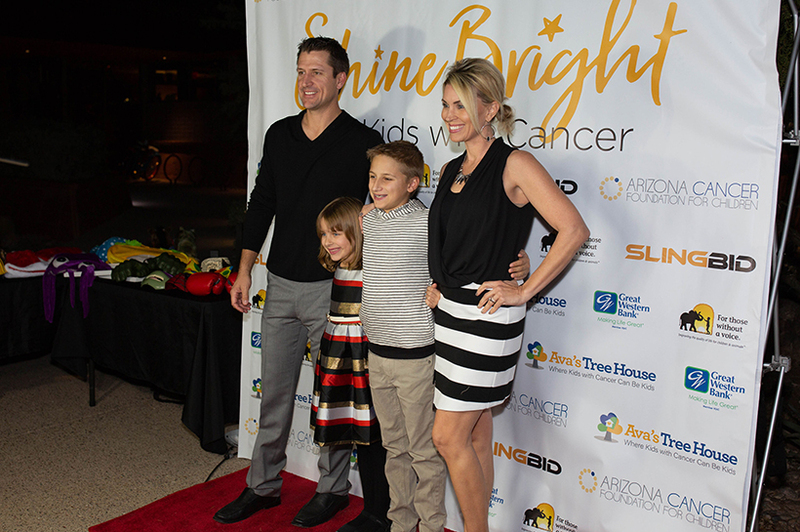 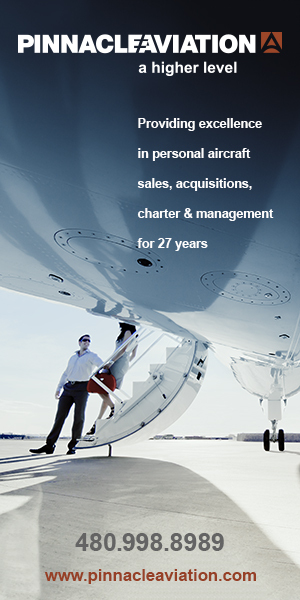 The organization’s Cancer Concierge program provides lodging and transportation for children who require travel for treatment in-state or out-of-state. 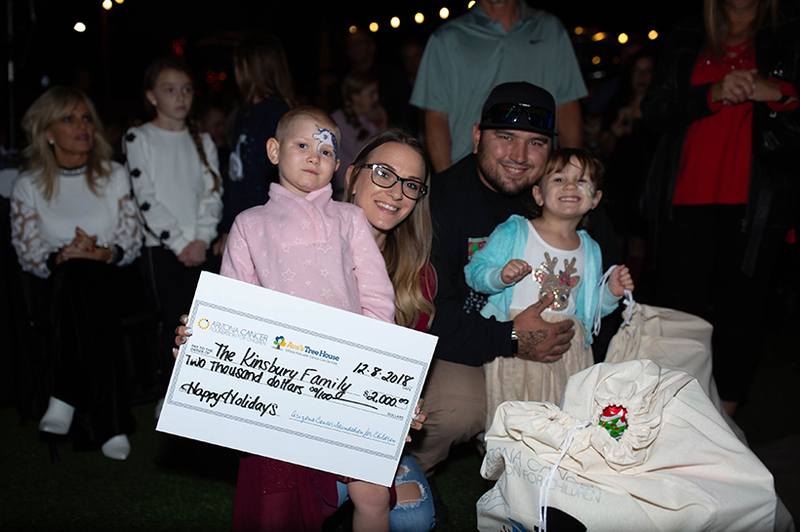 The Sunshine Pack program provides children with cancer and their siblings with toys and comforting items to enjoy while staying at the hospital. 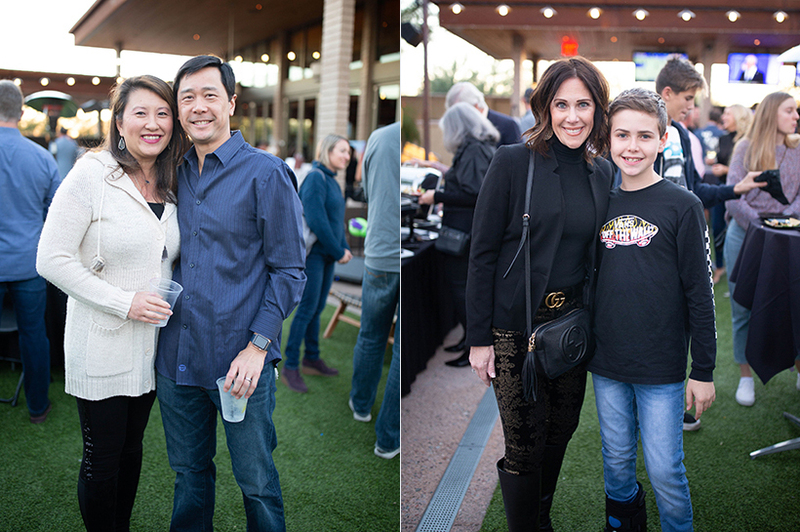 Funds from the event also provide children with K9 therapy visits through the Four Paws for Healing program. 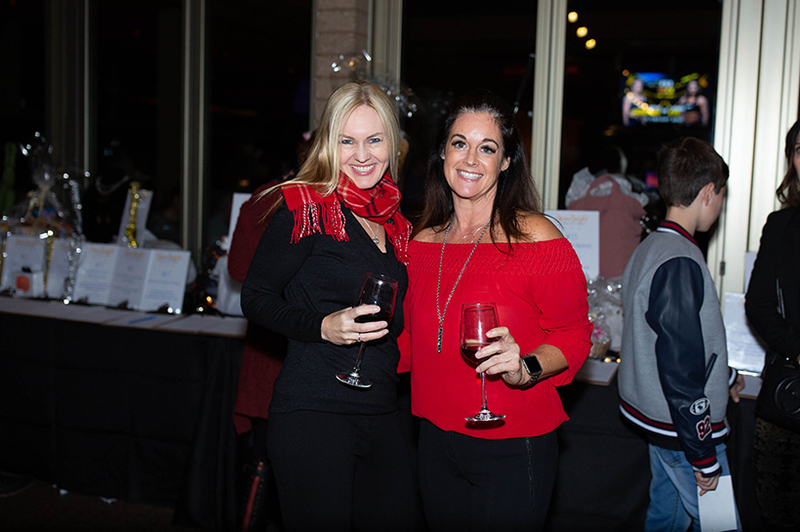 And the event supports ACFC’s End of Life program, helping families navigate through the dark after losing a child to pediatric cancer.